Description: Fisherman sits on the chair near the river with fishing rod. Elderly man cathes fishes from river. 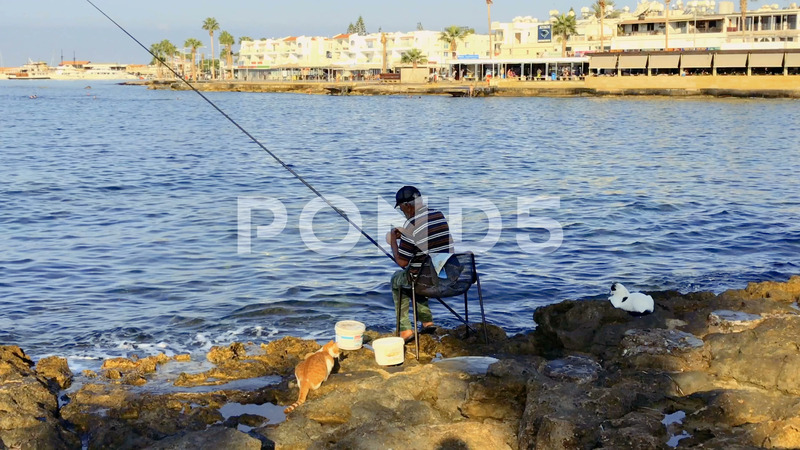 Two funny cats sits near the man and waits when he catch the fish.